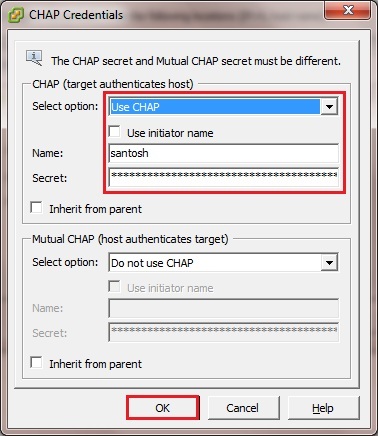 Now Enter a username and password for CHAP authentication as shown below. 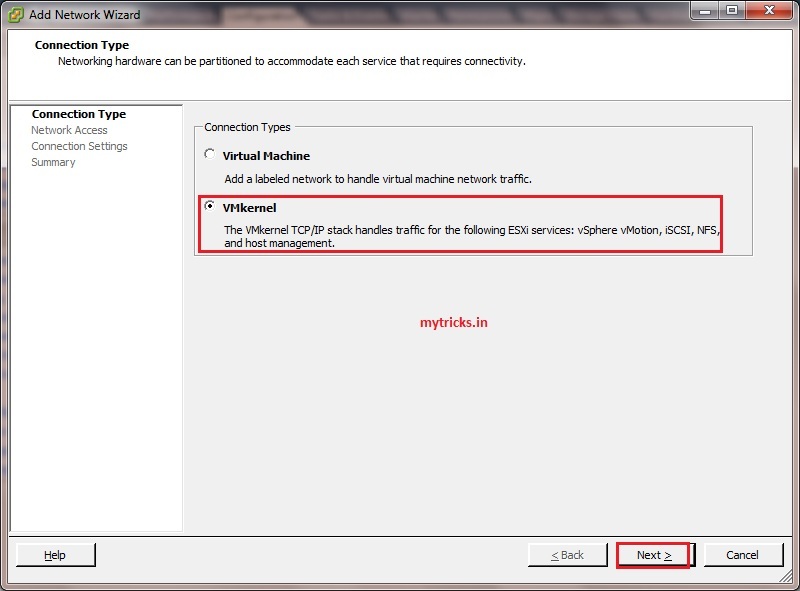 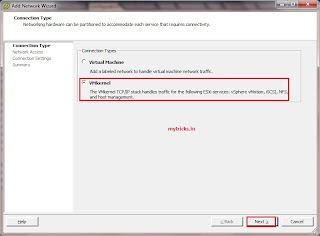 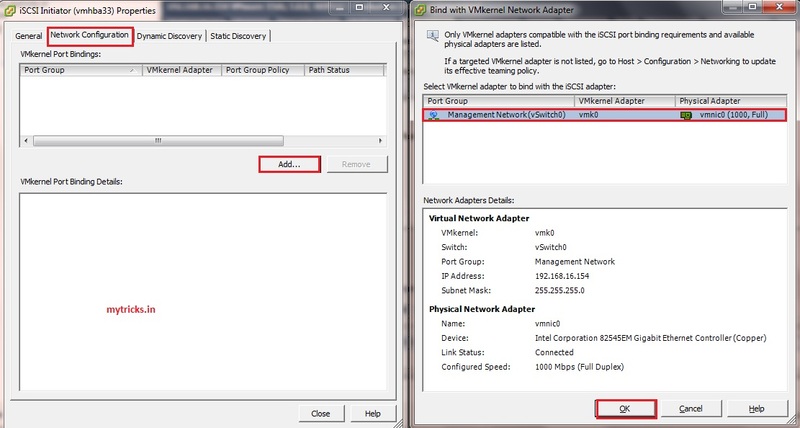 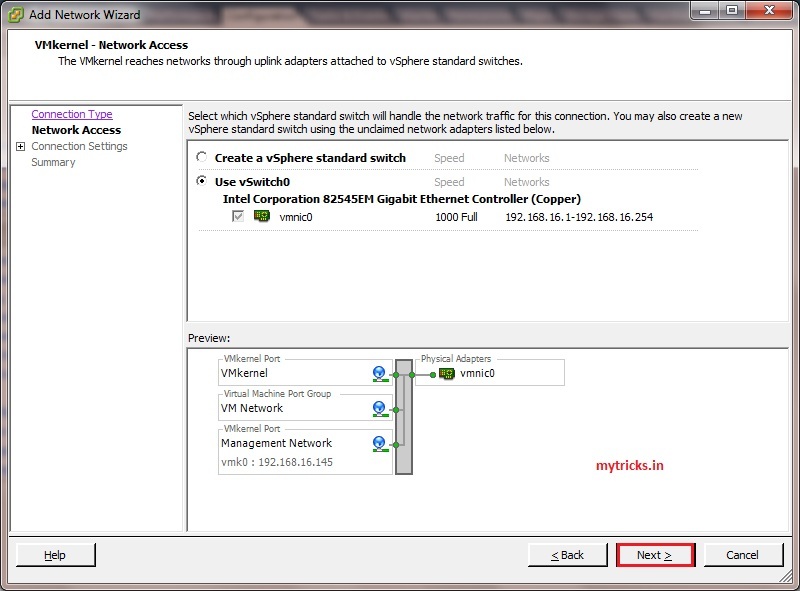 Select Network Adapter for VMkernel. 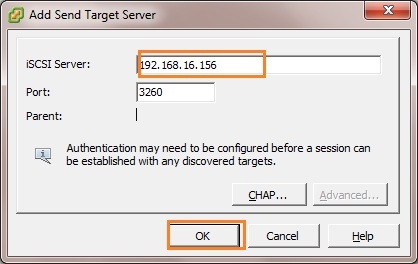 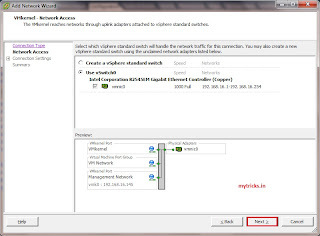 Enter a network label. 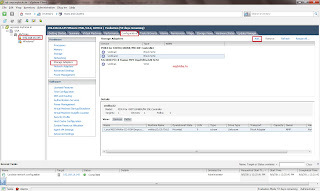 Tick on “VMotion” & fault Tolerance logging tabs. 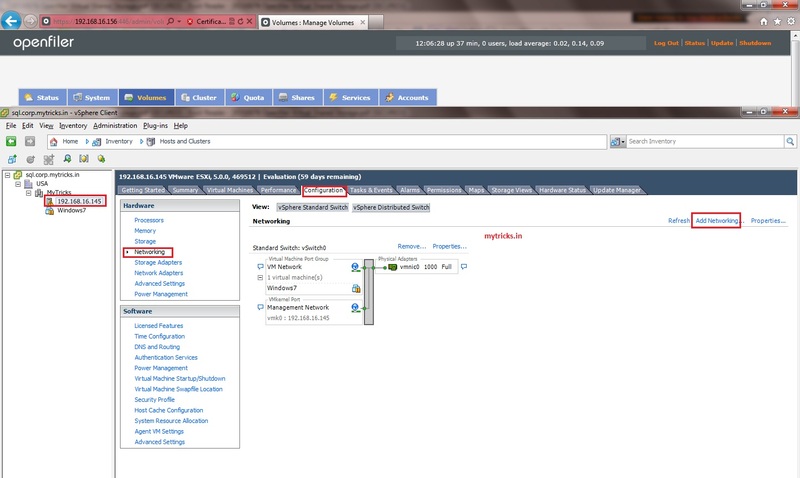 In my below screen shot its not selected. 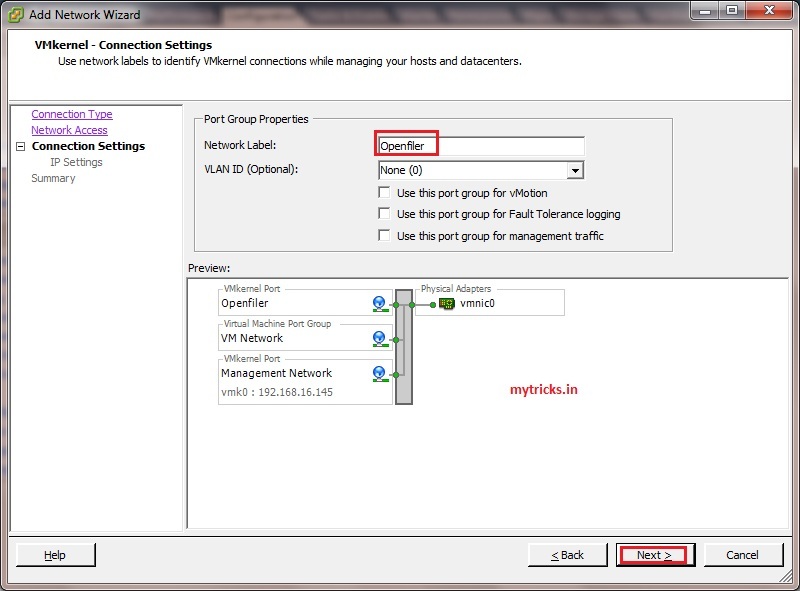 Now we have added VMkernel port as shown below. 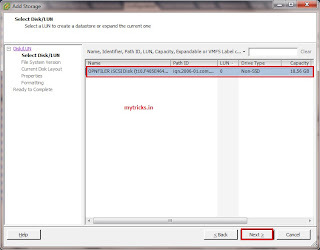 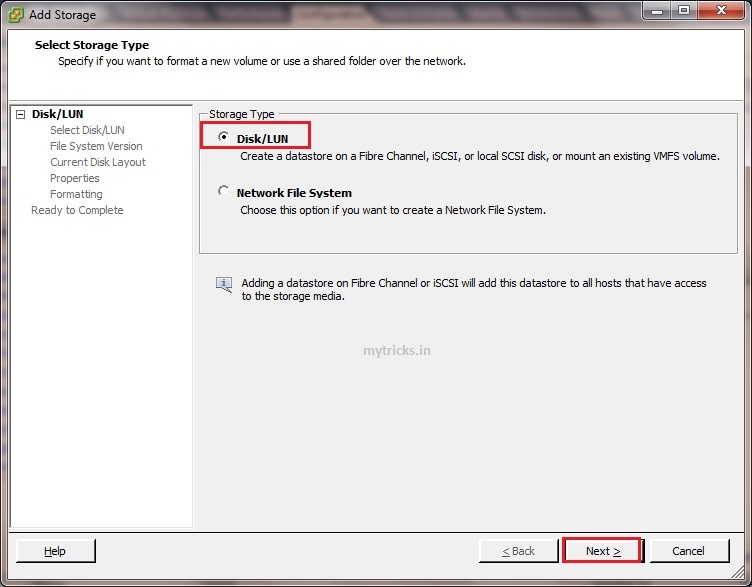 Select “Add Software iSCSI adapter” & click on “OK”. When prompted click on OK. 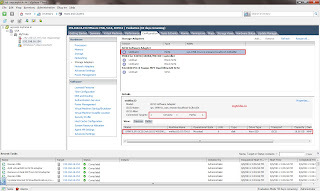 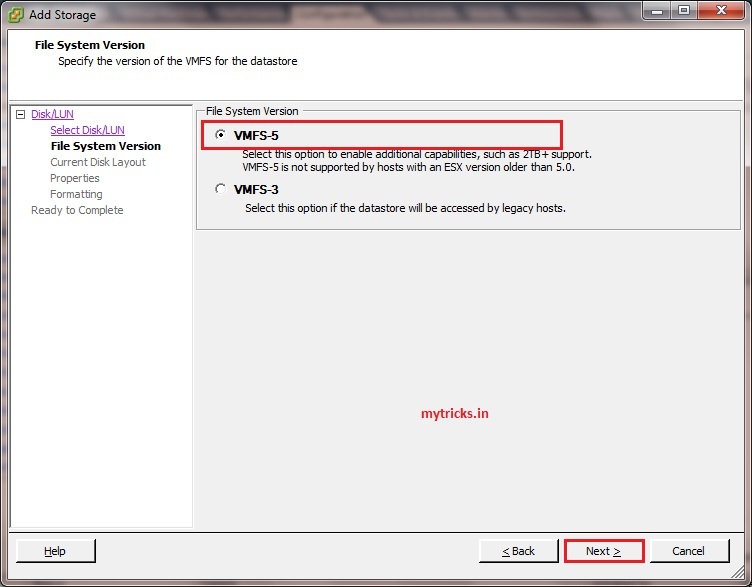 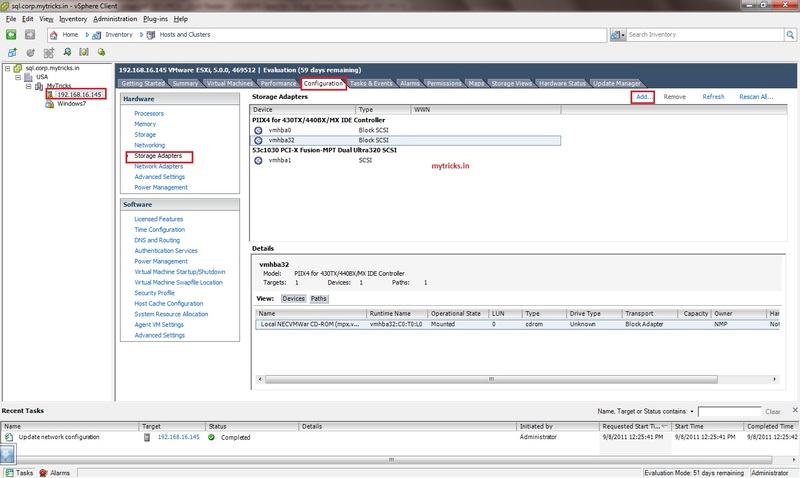 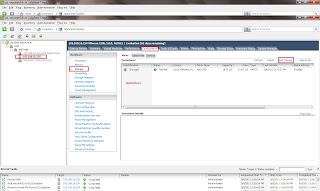 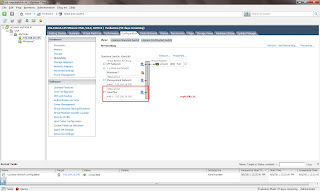 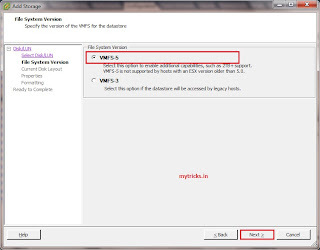 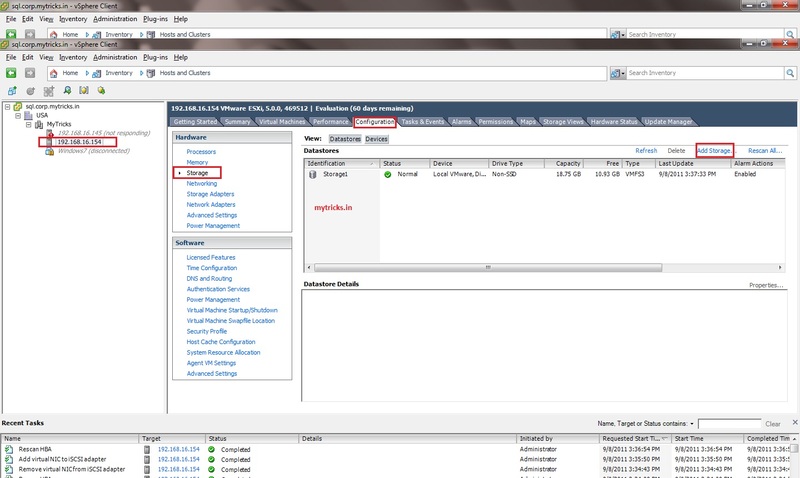 Highlight the iSCSI Software Adaptor and click Properties. 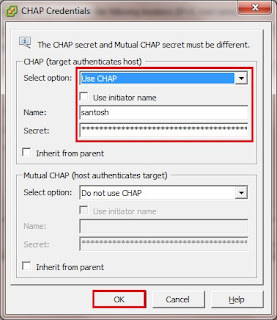 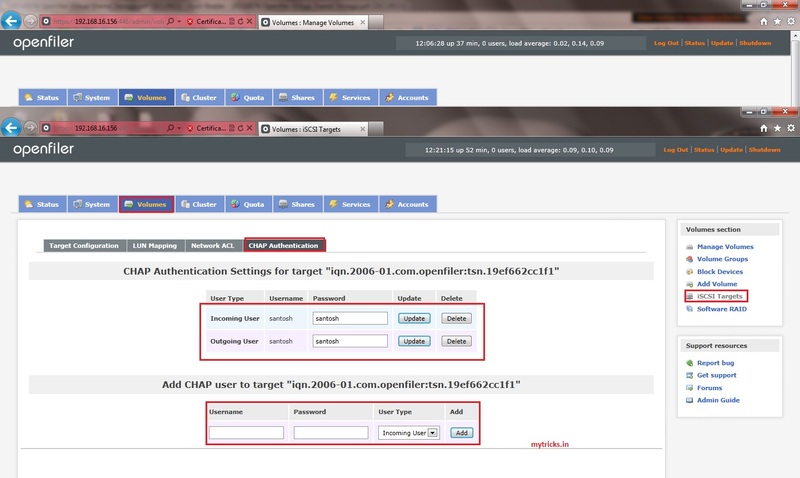 Enter your CHAP credentials which we mentioned while configuring Openfiler. 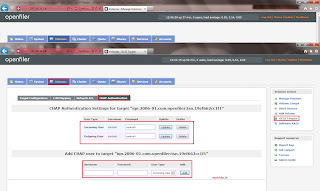 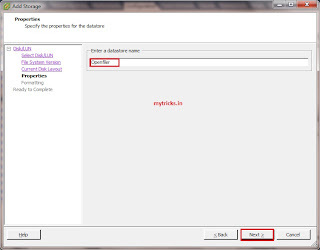 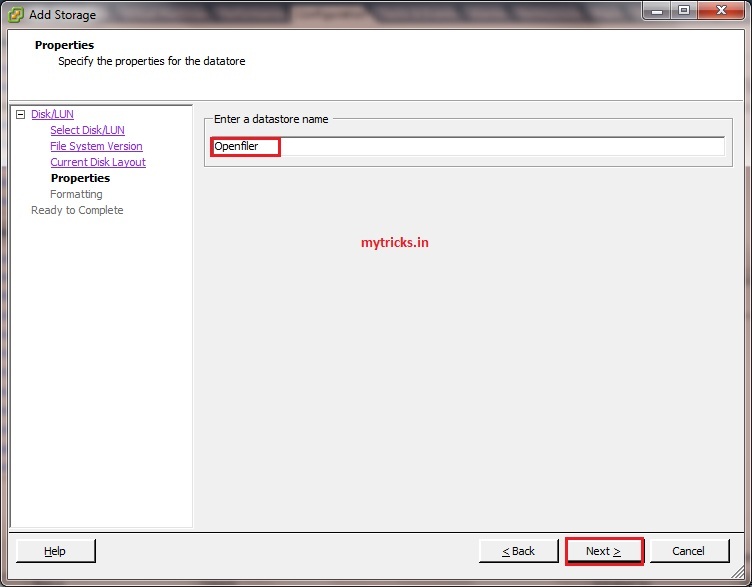 Click on Dynamic discovery tab & click on ADD. 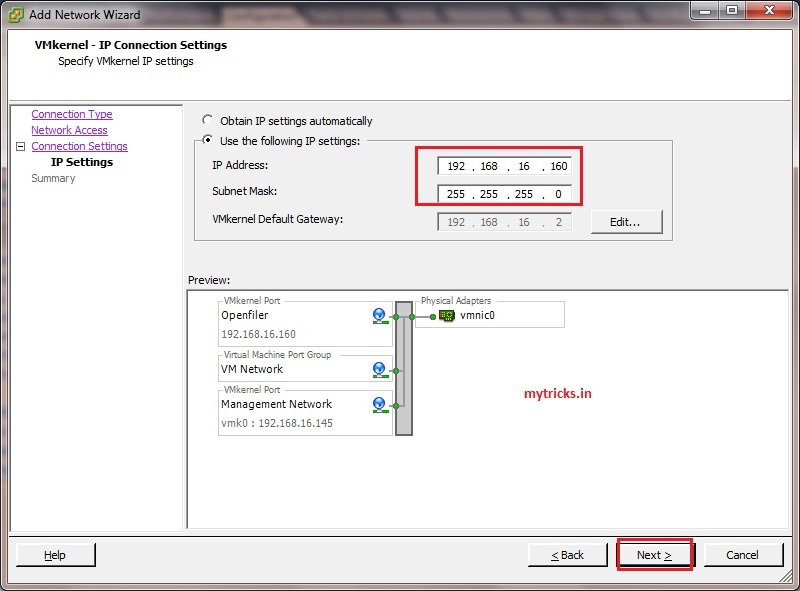 Mention your “OpenFiler” server IP address & click on OK.
Now we have mentioned our iSCSI traget. 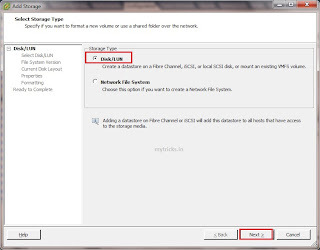 When prompted click on Yes to scan all Software iSCSI adapters. 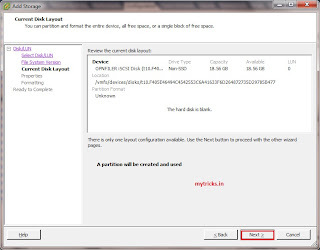 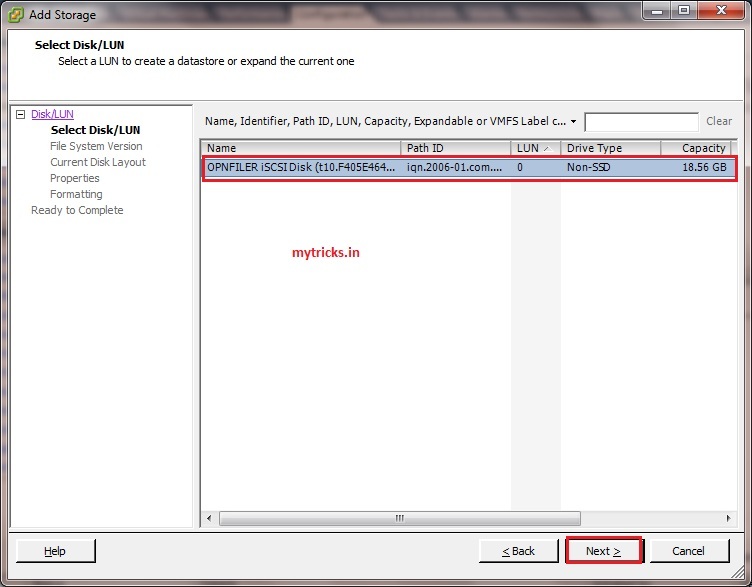 As shown below you can see the Openfiler iSCSI disk. 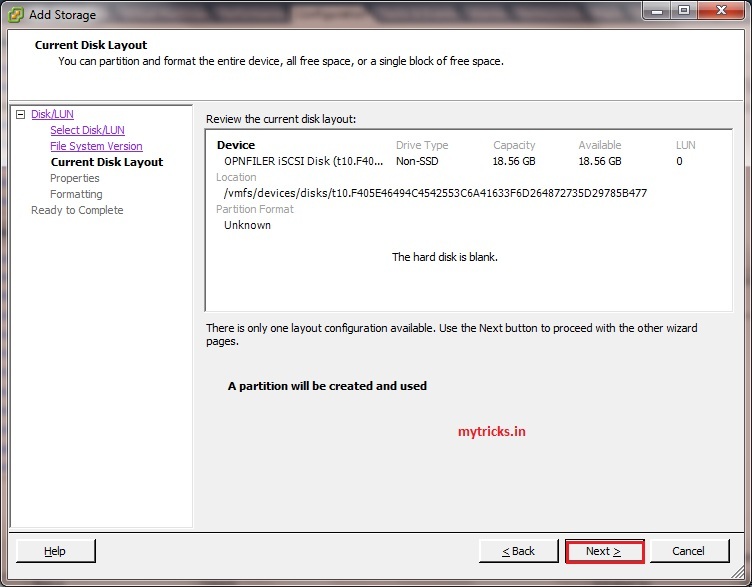 The storage will now be available for use.